As the Pagoda SL Group aims to share knowledge and information on Mercedes Benz SL automobiles, particularly the W 113 chassis cars including the 230 SL, 250 SL, and 280 SL models produced from 1963 to 1971 we have made membership of this group as easy as possible. Everyone, whether you own a car or not, can become an Associate member of our group by Registering at our Forums. 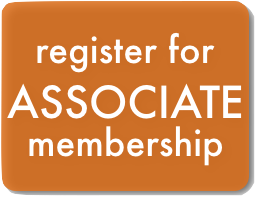 As an Associate member you can take part in our active Forum community and access most of the information on this site. We currently have around 700 Full Members, and around 2000 active Associate Members (although they tend to come and go). We are the largest international community of Pagoda owners, and have good relationships with other Mercedes Benz clubs, such as the German Pagodentreff forum and the Pagoda SL Group. However, running a site like this costs real money. The software we use is all free, public domain software. The effort involved in setting it up and maintaining it is done free of charge. No volunteers or directors are paid, but hosting costs money. 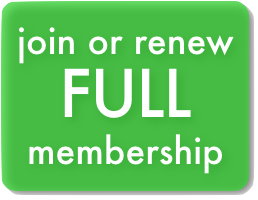 Hence we have created a Full Membership, which costs a nominal annual fee to join. As a Full Member you receive additional benefits over and above an Associate membership: the Pagoda World magazine, the Pagoda Notes newsletter, and full access to the Technical Manual. Full-membership is not required for vendors to participate in the forums as individuals, providing they do not solicit sales of products or services. Vendors who wish to advertise their products and/or services in our forum, are required to register as a Full members. At that time, our web-admin will identify them as a 'vendor' so that their role is clear to all other forum members. Read the current state of the W113 Pagoda Technical Manual and purchase it when we start publishing it in print form. To become a Free Associate Member, Register for the Message Forums. All registered users of the Message Forums of this site are free Associate Members. Free subscription to the Newsletter �Pagoda World�. Click on the link for a free sample issue. Free subscription to the Newsletter �Pagoda Notes� with articles composed from Forum threads of interest. Click on the link for a free sample issue. Note: Pagoda Notes is distributed electronically, and members can print out their own copy. If you are a full member, you can find all the issues of Pagoda Notes here. Contribute to the W113 Pagoda Technical Manual. This is the quick guide to joining as a Full Member. Once you are in this process the system will collect the required information and offer you the Paypal option -also for credit cards without a PayPal account - or transfer you to the manual payment option. If you pay with PayPal your membership is typically activated immediately. You can access all of the website and back issues of Pagoda Notes. With manual payment it can take up to 6 weeks!